We often think of our muse as this little fairy like creature that flits and flutters about, looking for inspiration. One of the best descriptions of the muse I’ve heard was that it’s a fat, lazy guy with little motivation. The idea the speaker shared was that the muse goes where there is action, where someone is already showing up. The muse is lazy. The muse doesn’t want to have to drag you to the studio. The muse doesn’t want to sit and explain to you that you really are creative, that your mom/art teacher/sister was wrong, here is a tissue, and a hug. No the muse wants to show up, see you are in the studio, melting glass, and the he throws you a bone. He adds a little extra sparkle to what is already in the flame. How does he find you in the studio? You show up each day, even if it is for 10 minutes. If it can be at the same time each day even better, but really the point here is show up and melt glass! Will you commit to showing up and melting glass for at least 10 minutes a day for 1 week? Make your commitment here so we can cheer you on! Practice play and a discount! Take a piece of paper and draw 30 circles on the paper. Now, in one minute, adapt as many circles as you can into objects or decorate in various ways. For example, one circle could become a sun. Another could become a globe. How many can you do in a minute? Quantity over Quality! This gets you thinking outside of the box, but it also let’s you let go of the quality focus, so you are more open to trying something and not overthinking! I’d love to see your finished circles! And if you make something in glass based on one, please share. Oh, and if you want a canvas to work on my favorite round press shape is the Slim Straight Sided Lentil. For this working with the large (1″) or large+ (1 1/4″) would be a great idea! Here is a discount code (Circle15) for 15% off all Straight Sided Lentils, Original or Slim Thickness. The code is good until December 31st and can not be combined with any other discounts or offers. Play time!! Are you approaching your torch time with the idea that you must produce? 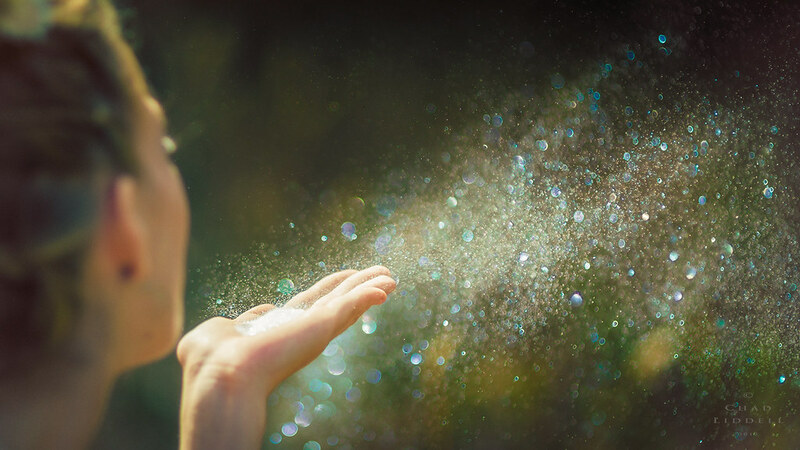 If you can release the need for the outcome, and instead drop into the joy of the experience, it releases so much of that stagnant energy that comes with must, need, should, have to. Those words do not evoke a sense of wonder, joy, excitement, experiment. So let your inner child out to play! 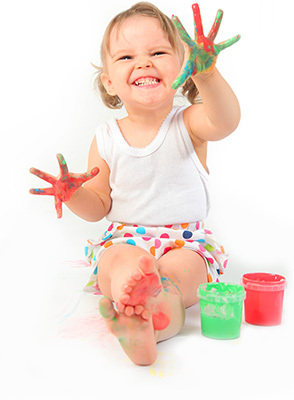 Let him or her play, make a mess, create something! Have you ever watched a small child paint with acrylic paints for the first time? That little 4 year old just starts painting, adding colors, and adding more colors and it starts as yellow, add some red, oh, more red…more yellow…now there is a glob of paint so they start to swirl the colors together, a pretty orange is emerging. And in comes the green! More green…mixing…now there is a brown color forming. By the time that kiddo is done they have ditched the brush, are covered head to waist in paint, the paint on the paper has all been mixed to various shades of brown, and they are pleased as Punch. Now go mix, add and get lost in the melting and see what happens…oh, but don’t put your fingers in the flame! We all have multifaceted lives. We wear many hats and many people expect things from us. That is mostly fine. It is not always easy to shift gears when you want to go from giver (mom, wife, friend, volunteer, etc) to receiver of creativity. Yes, creativity is not a giving act, it’s a receiving act. Giving can be done by will. Receiving largely comes from surrender. You may still be giving your gifts or talents to the world in the finished piece, but you received before you gave. Receiving is more challenging for many of us, than giving. Consider how easy receiving is for you. If someone compliments you do you take it in, feel the feeling and say “Thank you”…or do you deflect, by telling how much better they are, or diminish by telling them it’s an old dress, or you’ve been fighting with your hair for days and was just glad it was presentable today? How you take a compliment can be a great indicator of how well you receive. How can we set ourselves up to receive? There are several answers to this, and some of what I already shared has been setting the stage for this, like the joy list, sleep and other self care ideas. Here is a super straightforward, practical action… The Brain Dump! That’s right, sit down and make the lists. What needs to be done. Who needs to be called. What you forgot to do yesterday. Get it all out on paper…or in your electronic list app, but I do think there is greater value in this exercise if it is written down. Now look at the list and say, “You are important and I will get to you. Right now I am taking 1 hour in my studio. When I am done, I’ll be back. You wait here.” You just put your responsibilities into perspective and gave yourself permission to enjoy your time in your studio! Now go enjoy it! The list is waiting like a sloth…it’s not in a hurry, it knows you will be back. I like to have a notebook in the studio, too, so if I think of something that needs to be done, I can write it down, release and keep going! How did you feel when you dumped the cares and worries in a safe place for later? Did you find you had a clear mind ready to be fully present in your creative time? If you make something in pursuit of creativity it is NOT wasting glass. I often see people asking questions online about how to do something in glass. Looking for specifics, even for basic concepts. It’s fine to ask for help, it’s fine to purchase tutorial from those who have mastered a particular technique that you want to learn. But are you asking to avoid making mistakes? Being afraid to try and fail stifles creativity, of any kind! 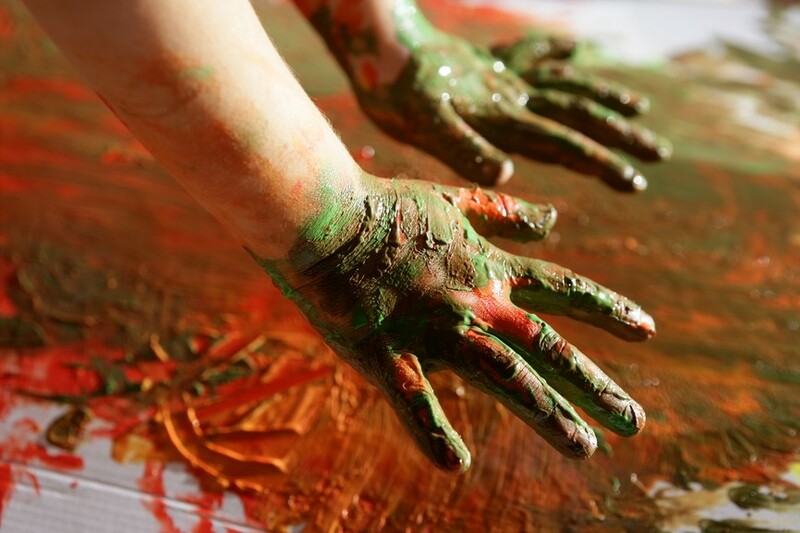 While learning from others and collaboration is important and valuable, so is making a mess. Melting glass that will not be sold, or even worn, is part of the process. One of the quickest ways to choke the flow of creativity is to demand that you produce specific results. There is time for production work. Work that is tried and true, work that lets you sit down at the torch and walk away at the end with a kiln filled with known results. Sometimes creativity shows up in those productivity sessions, for sure. But if your goal is exploration, you can’t just follow the map, you need to go off the path a bit. You have to be willing to not know the results. If you need something to do with the glass that doesn’t make the cut, you can give them to kids for fairy houses, fairies love glassy goodness…so do little kids! What do you do with glass that doesn’t measure up? We talked about setting the stage for rest in your bedroom, now let’s talk about setting the stage for creativity in your studio…even if that studio is the end of a dining room table…with good ventilation and propane outside, of course! But back to setting the stage. First, how do you feel when you sit down? Overwhelmed? Is there too much stuff out? I’m not telling you what it “should” look like, you decide that, but you want to feel inspired, not expired, when you enter the space. When I’m in a torch session sometimes lots of things will come to the table. Different frit, various tools, presses and glass will wander into the mix. I don’t use all those things all the time, but I did use them all last time. I probably torched right up to the last minute I had available, so it’s all still sitting right there. I often find that when I put away a few of the things I don’t intend to use this time, so my bench only has what I tend to use, I feel more inspired. Hang inspiring art in your view. Something that makes you feel the way you want to feel at the torch. Something with colors that spark your creativity! Music! I tend to listen to audio books and podcasts when I torch. For the most part that works fine and it let’s me connect with great content that supports my mindset! One of my favorite books lately for supporting the way I think is “The Big Leap” by Gay Hendricks. That all works when I am in the zone. When torching is going well, when creativity is flowing. When things are stuck, when I’m struggling to find a direction to go, then I move to music! I have a couple albums that really make me smile! I will be belting out the words, off key which is fine by the way! This can get my energy moving! Add aroma to your space! Did you know essential oils are a great way to enhance creativity? Diffusing essential oils allows them to enter the nasal passage, communicate to the receptor sites there, which pass that message onto the emotional brain. Wild orange is a super simple oil to open your creativity. It’s the oil of Abundance, and creativity enjoys an abundant state. A state of being open to new possibilities! There are other great oils and oil combos that you can learn more about at EssentialLampworking.com! A simple way to add this aroma to your space is with a diffuser. This is a simple device that typically has a well for water, that you fill to the indicator and then add 2-3 drops of essential oil. Super simple! Turn it on and you are impacting your creative brain! Note: I would suggest not having it on your bench, but rather behind your shoulder so that the aroma is drawn past you through the ventilation. But it sure looks pretty there! I told you we’d be talking about sleep more going forward! It’s important. Here is another Sleep Tip! Create a calm environment in your room. If you can, remove the TV. Whether you can do that or not, look at the room and decide if the space makes you feel restful. Are there piles of laundry waiting to be folded, or put away? Is there a pile of books/magazines next to your bed that you aren’t going to read any time soon? Is the lighting restful? Is the bedding comfortable? You get the idea. Create a restful environment so you can enjoy a restful night sleep. I invite you to share one thing you are going to change about your room to encourage a better night sleep. I decluttered my bedside table! It feels really nice to not be sleeping next to a bunch of stuff! I also opted to charge my phone in the living room instead of next to my bed! aaaahhhhh.